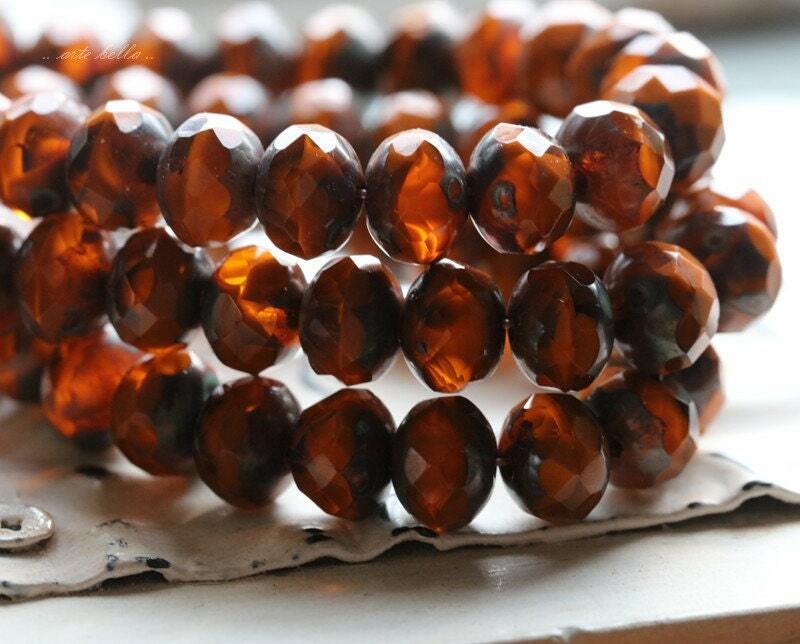 Deepest rust orange translucent and opaque glass mix coated on the ends in Picasso. 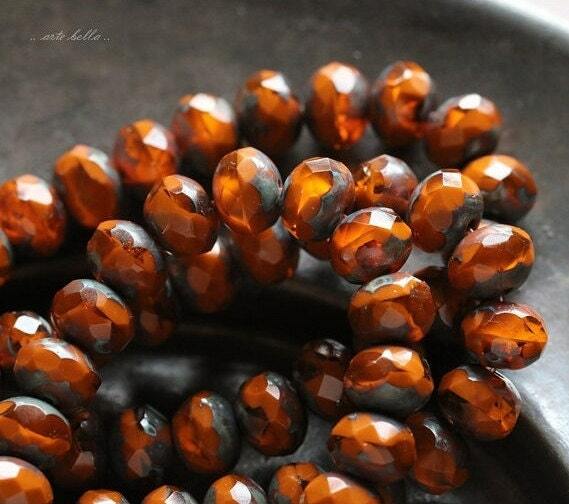 Always love this color of beads. 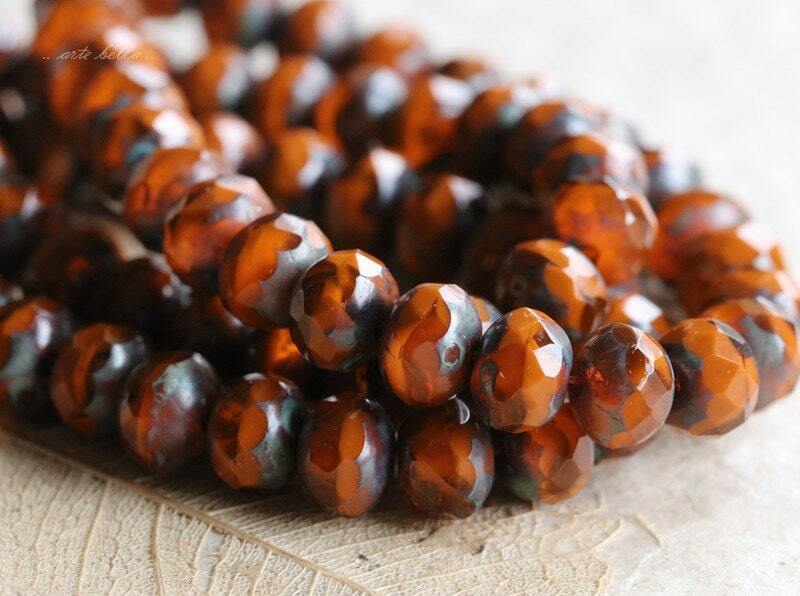 I am a warm color person and they are perfect. 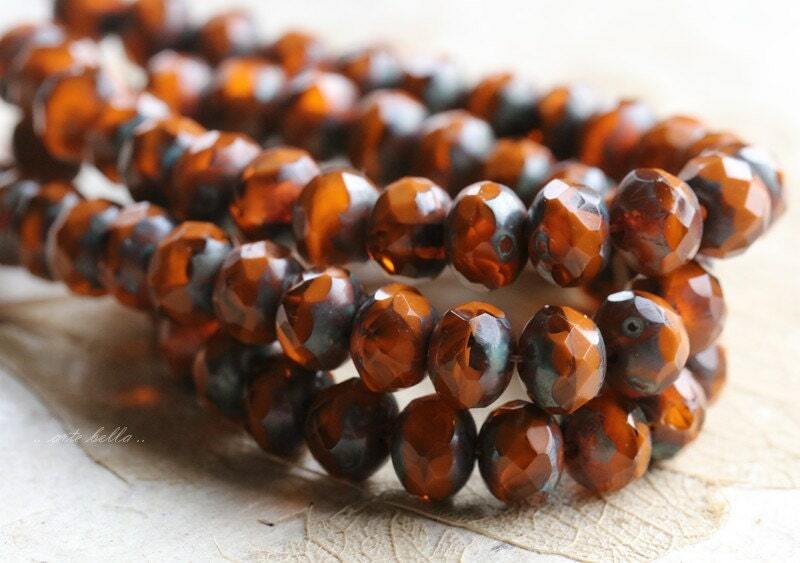 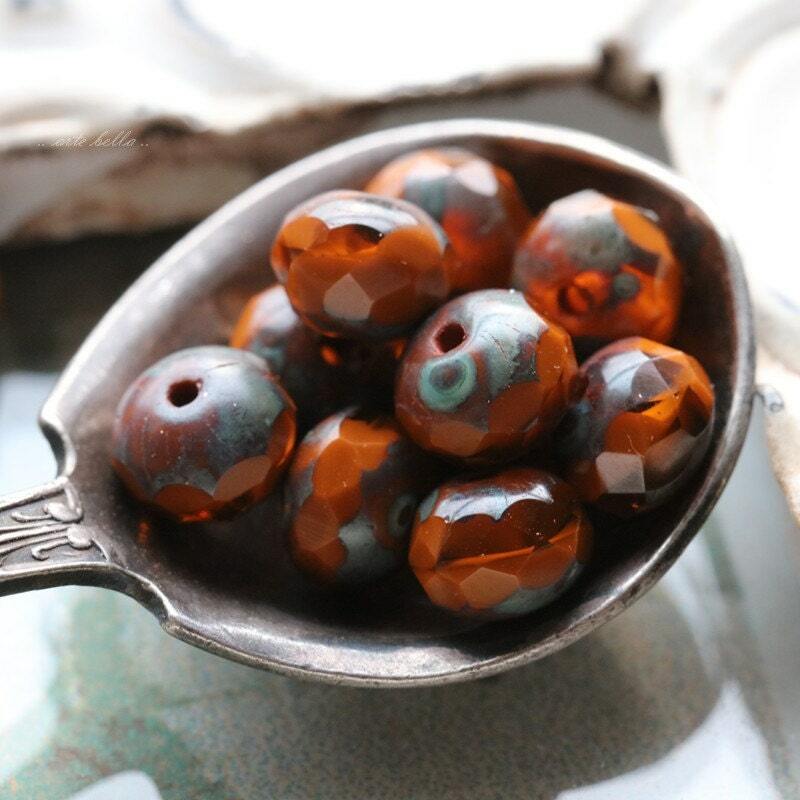 Love the look of these beads.